Swedish safety products supplier Autoliv Inc. said it posted gains across all its product lines during the second quarter as it generated more airbag business than expected in the wake of the Takata recall crisis. Net income during the quarter rose 8.5 percent to $148.4 million while total revenue expanded 13 percent to $2.6 billion, the company said in a statement Friday. Autoliv is one of only a handful of global airbag producers along with Germany’s ZF Friedrichshafen, Japan’s Daicel and China-owned Key Safety Systems. The companies have been scrambling to help the auto industry replace defective Takata airbag inflators in some 100 million vehicles globally linked to at least 13 deaths and more than 100 injuries. Takata, struggling with the costs of the crisis, is seeking a buyer as it loses out on future business with Honda and other automakers. Autoliv said it expects to deliver 30 million replacement airbag inflators from 2015 through 2018. Carlson told Reuters Autoliv has seen a stronger order intake than expected across the board in passive safety (airbags and seat belts), but also good orders in safety electronics. 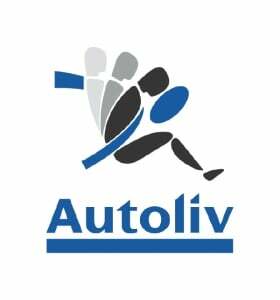 Autoliv said its products were used in nine new vehicle launches during the second quarter. "If you look at what is happening with Takata and other things, it might not be that strange that this is the consequence,” he said. During the recent quarter, Autoliv said airbag revenue grew 4 percent to $1.3 billion. Revenue from seat belts, its second-largest product line, grew 2.7 percent to $682 million. Sales in the Americas, Autoliv’s largest region, increased 6.5 percent to $875 million. European sales surged 17 percent to $835 million while Asian business grew 15 percent to $869 million. The company said its adjusted operating margin declined by nearly a point to 8.6 percent. Autoliv, based in Stockholm, Sweden, ranks No. 25 on the Automotive News list of the top 100 global suppliers with worldwide sales to automakers of $9.2 billion in 2015.